LARP Distribution offers wholesale Epic Effect items, including costume effects like latex masks, prosthetics, make-up, and other items that are perfect for LARP, especially horror and fantasy settings. We also carry the necessary glues and removers to use with our LARP cosmetics and prosthetics. 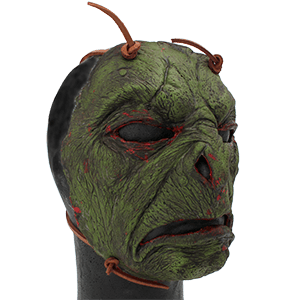 These wholesale costume effects range from unique masks with the faces of monsters, Orcs, and zombies, to colorful fantasy makeup, and even to trophy masks that present a gruesome take on traditional fantasy. LARP Distribution carries a wide selection of wholesale latex masks that depict the visages of many dark fantasy creatures and monstrous beings. 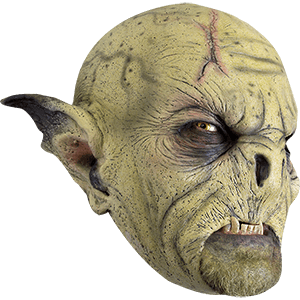 Our wholesale Halloween masks lean toward the grotesque or spooky, with zombie masks, orc masks, and goblin masks being some of the most popular contenders. In addition to the traditional monster masks, we also offer a selection of gruesome trophy masks, depicting the faces of the unfortunate victims. Our wholesale costume masks make amazing additions to certain LARP ensembles and other costume apparel. The wholesale costume special effects carried by LARP Distribution include a number of high-quality wholesale costume prosthetics for transforming into a LARP character of choice. 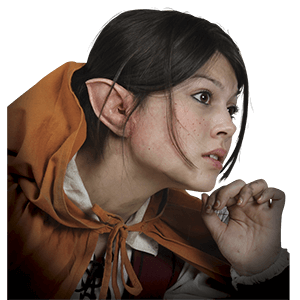 Our wholesale Halloween prosthetics include ears, noses, horns, and brows for elves, goblins, orcs, trolls, devils, and more. We also carry other items like blood capsules for adding realism to costumes, as well as all of the necessary adhesives and removers for wearing the prosthetics. Epic Effect Trophies are available for wholesale at LARP Distribution. These wholesale latex LARP props and character accessories add a unique element to any LARP outfit. 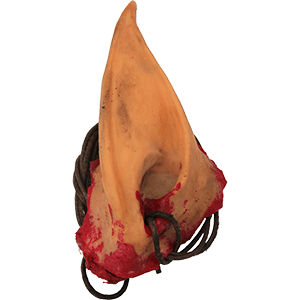 Great for horror LARP and fantasy LARP, these live action character props include many macabre items such as shrunken heads and ear trophy necklaces. Human trophies go well with barbarian LARP ensembles, while ears and heads from fantasy beings like elves, goblins, and orcs suit a wider range of fantasy LARP scenarios. Our wholesale LARP accessories can be worn or displayed, making them flexible pieces to offer to customers. The wholesale costume special effects that we offer at LARP Distribution extend even to wholesale costume make up for medieval and fantasy LARP ensembles. This professional grade wholesale character make up comes in flesh tones as well as every color of the rainbow, and it washes off easily with soap and water. 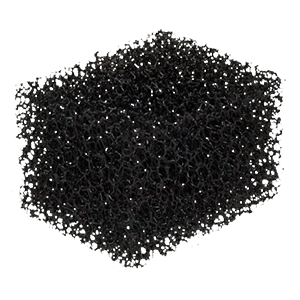 We also provide wholesale make up sponges and wholesale make up setting sprays to help apply and maintain the LARP make up. 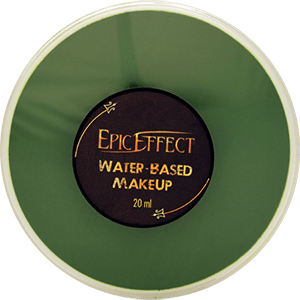 No matter what look a LARPer wants to achieve, we carry the wholesale costume cosmetics to help them create it. These foam latex LARP props and wholesale character accessories from LARP Distribution add a unique element to any LARP ensemble or costume. These fantasy and horror wholesale character props include many macabre items such as shrunken heads and ear trophy necklaces. Human pieces go well with barbarian LARP ensembles, while ears and heads from fantasy beings like elves, goblins, and orcs suit a wider range of LARP scenarios. Our wholesale LARP accessories can be worn or displayed, making them flexible pieces to offer to our customers.